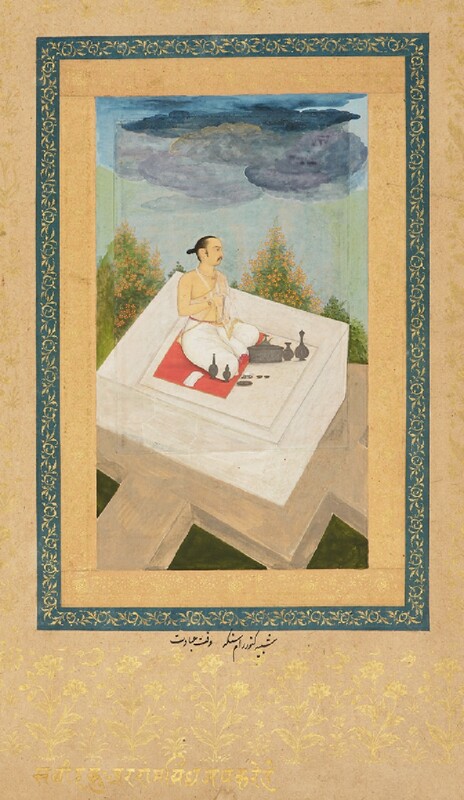 Ram Singh performs his devotions in a garden setting, holding his mala (prayer-beads) under the end of his muslin shawl. The sensitive portrait is strongly Mughal in style. The central section has been enlarged later, prior to mounting in its late 17th century album border.